Most intentional communities fail because they adopt agricultural system inputs and attempt to get hunter-gatherer social outputs. Adopting a cultural materialist perspective, this is bound to fail. And it does. Intentional communities almost always attempt to purchase one large chunk of property, and create an insular community. To achieve the benefits of hunter-gatherer lifeways, the required input is a network of small properties that everyone in the micro-culture can move freely between for social and subsistence reasons. This is a modern adaptation to analogize non-sedentary seasonal camps in a 100% owned/claimed world. The focus of land procurement is not to grow everything on community owned land, but to purchase land leveraging access to hunting, fishing, and foraging grounds. Gardens (in a horticultural sense), but not farms (in an agricultural/monocultural sense), can be compatible with the desired egalitarian/immediate-return outputs. We recognize that many ecosystems have been obliterated through extractive human practices, including organic monoculture farming, and re-instantiation of regenerative systems (we call it feralculture, something like wild permaculture) is necessary in some landscapes. To the extent possible, we aim to nudge properties we have access to increased biomass and biodiversity, with the expectation of plant and animal food as a secondary effect of improving habitat. After much research, we purchased 4-acres of riverfront property on a salmon run in Alaska, with access to relatively wild lands and wild foods in all directions. Our community vision is not limited to Alaska, and is actively expansionary, but we had to start somewhere. Our focus was wildness, beauty, quality of life, and abundance of wild food. We have heard “it’s too cold” too many times, and have come to believe this is often — not always — a reflection of domesticated mindsets and self-imposed limits to fully expressing and enjoying one’s own human animality. We have a solar power station. Early on in the project, it became clear that permaculture attempted to solve a lot of the same problems we were trying to solve. Some of permaculture’s biggest promoters personally gravitate toward paleo dietary frameworks. The originators of permaculture (Bill Mollison and David Holmgren), and subsequent thought-leaders (Geoff Lawton and Toby Hemenway) sought to create “permanent culture”, and explicitly informed their approach by looking to indigenous lifeways. They recognize(d) that these cultures are (and were) the best and only examples of permanent human cultures. Of course, other cultures have since actively destroyed those ways of living, but those ways of living are stable on the order of hundreds of thousands to millions of years, while agricultural peoples fail to get past the hundreds. All of that said, permaculture has some problems in its popular practice and perception. It is our believe that for permaculture to attain the goal of permanence, it must actively adopt an orientation toward wild systems—not simply learn from wild systems, but work toward systems that can continue without perpetual human management. That is not to say humans need be excluded from the systems, but to transition from a management/stewardship (read: control) orientation to an integrated/participatory role. Feralculture is more resistant to co-option by the domestication bias that has largely co-opted permaculture. We don’t want to throw the baby out with the bathwater, simply to fully express our interpretation of permaculture’s goals without the cultural baggage it has accumulated. We have a pedal power plant. 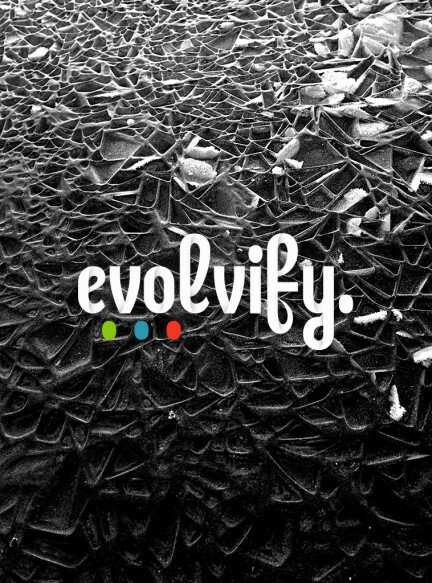 Sometime back in the good ol’ days, evolvify had its own discussion forum. There were some pretty good conversations with a core group of folks, and I’ve lamented being forced to pull it down because of overwhelming spam ever since. And… I’ve been threatening to re-launch forums for years. Yeah, I get it, forums are so 2007 and everyone uses Facebook now. Except that a lot of smart and lovely people actively resist using Facebook, and Facebook has incrementally tightened its controls on free content. On the FB pages I admin, many of the post are only shown to ~6% of the people who like the page. But I digress. There’s a fancy and fast and shiny new forum platform put out by some smart nerds; it’s called Discourse. It’s the forum platform of choice for BoingBoing, Twitter, and some other websites people go to. We launched feralculture forums a couple months ago, and everyone hated them… especially me. We relaunched the new new forums last week, AND imported the IPC Facebook group conversations into it (must be signed up and logged in to view, just like the FB group). So if you’re in to paleo or evolutionary theorizing or wildcrafting or permaculture or community or hunting or rewilding or anthropology or woodworking or ecology or applied philosophy or adventure or homesteading or fun or stuff like that, come play with us. It’s a new forum, and forums tend to take some time to get momentum, and you have an opportunity to shape the conversation. Yeah, yeah, yeah… Nobody wants to sign up for another thing, we’ve heard it all before. That’s why we added one-click signup/login with Google, Twitter, and Facebook. Starting a blog when you have no audience can be a major bummer. I’ve done it a few times, and the self-promotion is always a bit of a soulless endeavor. In the process of getting the Discourse forum platform to play nice with the Multisite WordPress install my own sites run on, a bit of an accident occurred. It turns out that it’s not much more work to install 500 blogs than it is to install 5 blogs, and have them all pump content into the forums, and have those discussions pushed back to their respective blogs as comments. The astute among you might already have figured out where I’m going with this. With multiple authors contributing to a single forum, and retaining autonomy over their own content, we geometrically increase the connections between the authors, and build audiences simultaneously. We’ve set up a couple tests, and things are running smoothly. If you have a blog related to anything loosely construed as falling under the aforementioned feralculture concept or the forums, and want to start something or make what you’ve already started better, go check out the forums, then message me over there. Oh, and… evolvify is part of the feralculture network, so if you comment on this post, you’ll be experiencing that process. Since we already talked above about the intentional community purchasing property in Alaska, you probably figured this out. As of September 2014, my homebase is in the boreal forest on a river in Alaska. Did you know you could live quite comfortably in sub-arctic winters in a canvas wall tent? Is it weird that it’s sunny almost all day and birds are chirping and I regularly miss winter? There’s something sublime about fatbiking down a frozen river to drag your mail home in a sled that gets under your skin. I love it here. You might too. How many omegas is that? A few weeks ago, I lost concentration for a moment while chopping wood, and sliced my foot to the bone. Well, actually into the bone. It was a large axe, and it was sharp. Perhaps we’ll save the story of getting out of the woods and to someone to stitch my skin on for another time. I sliced a tendon in my toe, and lost some function so going barefoot will be a new adventure of its own. In terms of digits staying attached to limbs and not succumbing to infection, things are in so far so good range. All of my sites died over the winter when I was in the woods with no way to fix them. That lead to a lot of site downtime, and a lot of people seeing nothing but a maintenance page. I didn’t like that. I’m sure Google didn’t like that much either. Bikes resist gravity here… as if by magic. My accelerating engagement with anthropology also elevated my skepticism of some evolutionary psychologists. Please note that I am not casting aside evolutionary psychology, but have become increasingly critical of those blatantly recycling the stodgy pontifications of one Thomas Hobbes. You know, “cavemen died at 3o” and “nasty, brutish and short” kind of thinking those in the paleosphere get tired of on about day three. Primary among these is NYT-Bestselling author Steven Pinker, and the handwaving classic, “The Better Angels of Our Nature”. Much ink has been spilled on the massive problems with this work, and we’ll have to save a full treatise for later. In any case, to minimize post-hoc rationalizations, a charge regularly leveled against it, evolutionary psychology must find referents outside a sociopolitical narrative. To my mind, the best referent we have is those few cultures existing somewhat apart from the hyper-domesticated juggernaut of the techno-spectacle. Other than the people within those cultures, the best glimpse we currently have is what anthropologists and archaeologists have to offer. For some evolutionary psychologists, the only anthropologist that isn’t scoffed out of the room is Napoleon Chagnon. The entire field of anthropology seems to be mocked rather than engaged. And that would be one thing if anthropologists were engaged in mockworthy behavior. To my reading, anthropology as a field of study, and many anthropologists, are doing excellent and insightful work. Not only that, but they’ve lodged significant empirical claims against Chagnon, Pinker, and Hobbesian geographer, Jared Diamond. To my mind, the wholesale dismissal of anthropology is too fishy to ignore. So let’s just make it clear: Evolvify rejects the idea that evolutionary psychology and anthropology represent some kind of non-overlapping magesteria. The mission here will continue to utilize evolutionary psychology as a powerful analytic framework, AND continue to increase inquiry into the best that anthropology has to offer. To most, this probably seems unremarkable. It should be, but Science™ is a zillion dollar industry deeply entrenched in defending the statist status quo(st). I recommend slicing your foot with: none of the above. Members who want to join us on the land. Our fee structure is unique, and membership comes in very low by intentional community standards, something right around $2,000… for life, and we have monthly things and trial things available. Advisers and Professionals. I am a theory person and an action person. History has shown me that I do not tend to excel at the skillset required to navigate the nuances of land trusts, non-profits, and tax law. Supporters. Starting at $7/month, you can contribute to the project on an ongoing basis. When bootstrapping a project like this, and doing it with little to no access from the forest, I can assure you that even $7 is appreciated and put to good use. Participants. Come and help make the forums as fun and interesting as possible. There are some smart people over there, and some helpful people, and some nice people. Ambassadors? I don’t know how I feel about that term, maybe there’s something better. The feralculture idea is crazy enough that it just might work. The only way we’ll know is to spread the word and dive in. You can help pass the ideas around for roughly zero dollars. We’re currently in talks to add a few more nodes in the vicinity of our first property in Alaska. We also have island property scoped-out for the next round of funding. Our core group in Alaska has quite a bit of knowledge and skills for this lifestyle, and you don’t have to be some kind of “badass” to be good at this. Cultural knowledge is crucial, but we all have hunter-gatherer DNA coursing through our veins. It’s pretty cool if you think about it. We all share the same hunter-gatherer ancestry somewhere back in time. Let’s wake it up. Let’s wake up with coffee and axes? Zoo Animals Become Psychotic. You Are an Animal. Run.